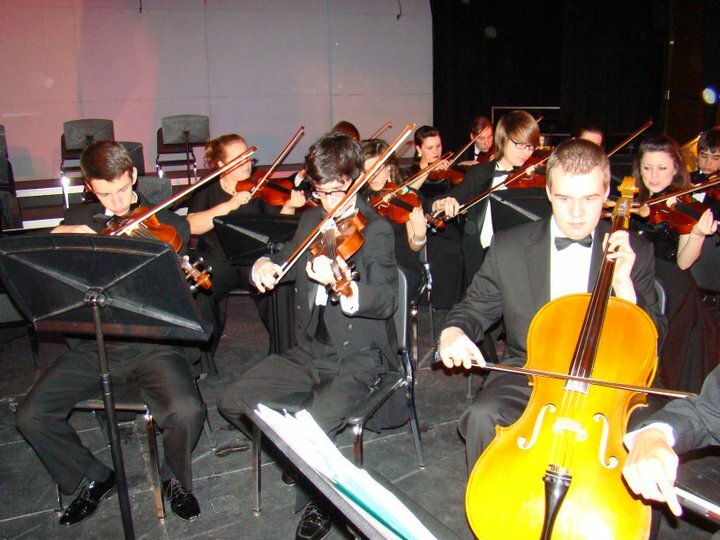 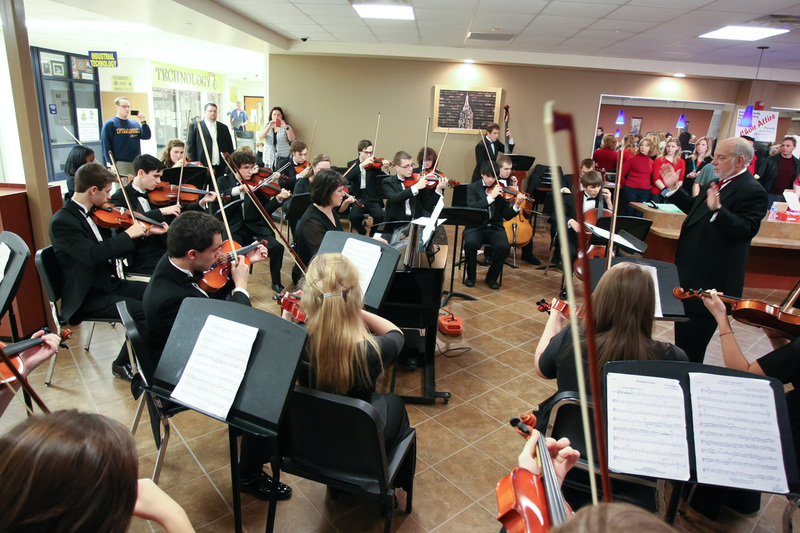 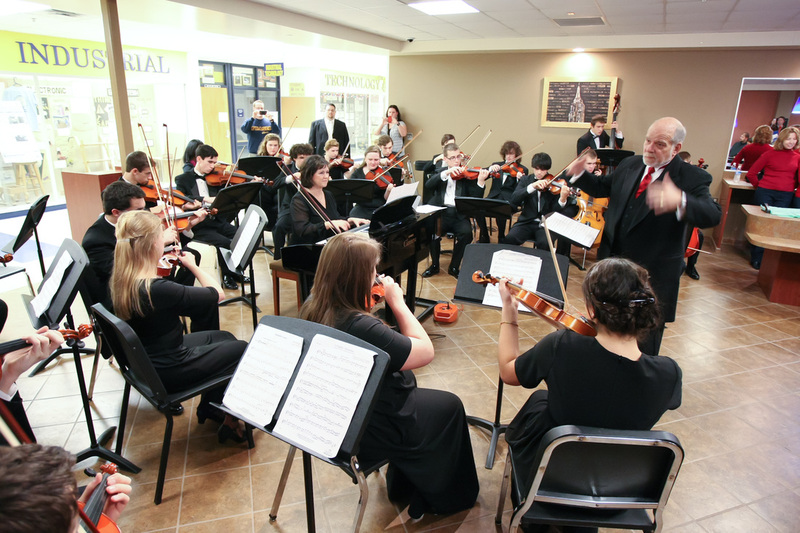 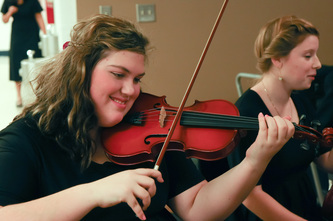 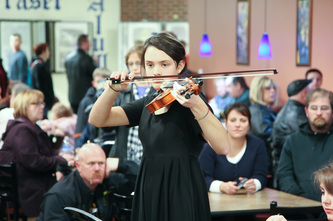 In 2010 Members of the high school band and choir came together and enrolled in the first String class, offered along with the other Academy classes. Only one of the students in the String class had ever played the violin before, but the young musicians accepted the challenge, worked diligently and all began to excel. 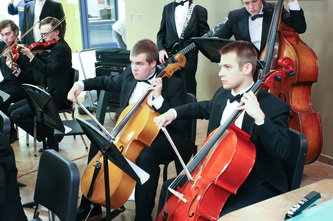 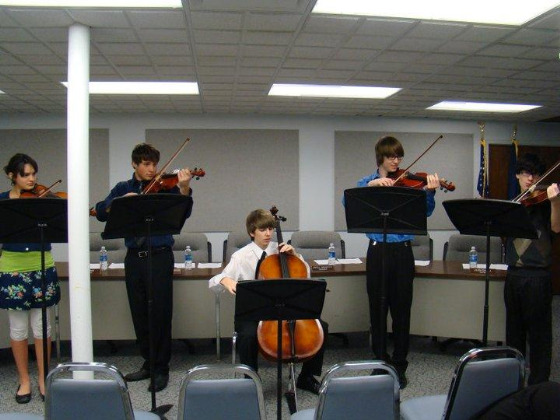 As the year progressed some of the students changed to the cello, string bass and viola. 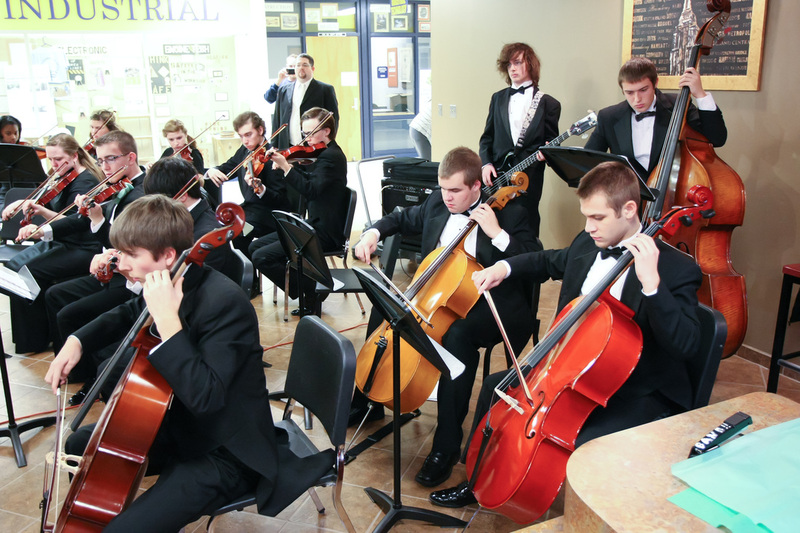 These students took the challenge to fill out the sound of the brand new orchestra. We look forward continuing the orchestra for many years to come.